Famed New Yorker Eliza Jumel, who rose from rags to riches, and her equally illustrious house will mark their anniversaries with a triple-barreled program at the Morris-Jumel Mansion on Saturday, July 18, 2015, from 2:00 p.m. to 4:00 p.m. 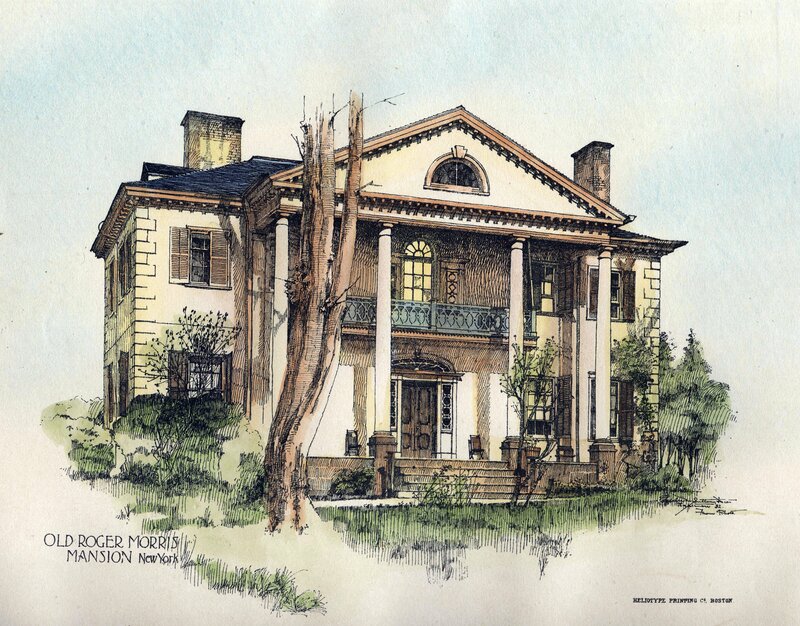 The celebration begins with Carol Ward, director of the Morris-Jumel Mansion and author of the recently released Morris-Jumel Mansion (Images of America), presenting an illustrated talk on the history of the 250-year-old mansion, highlighting images from her book. Next, historian Margaret Oppenheimer will read from her forthcoming biography, The Remarkable Rise of Eliza Jumel: A Story of Marriage and Money in the Early Republic, to be released this year, the 150th anniversary of Madame Jumel’s death. Afterwards, the program continues with a fifteen-minute walk down to Trinity Church Cemetery and Mausoleum at 155th Street and Broadway, for a discovery of who is buried in the Jumel crypt—with a promise of surprises to come. The program is free with mansion admission ($10 for adults, $8 for students and seniors, free for members and children under 12), but reservations are required (tel. 212-923-8008). The Morris-Jumel Mansion is located between W. 160th & W. 162nd Streets, between St. Nicholas and Edgecombe Avenues (C train to 163rd Street). Posted in Morris-Jumel Mansion. Bookmark the permalink.